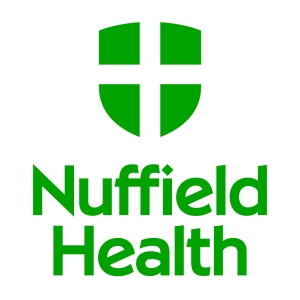 Nuffield Health has a fitness facility at the British Gas headquarters, Centrica, Windsor. Recognising that Training Wall is more than just wall fitness, and a concept built on design ingenuity and educational excellence, Nuffield Health at British Gas requested a 4 panel system with universal benefits and appeal for its employees, along with a training programme to be taken by PTs Chris Collins and Charlie Corfield. Nuffield Health has four sleek functional training panels with 2 x TRX attachments, a rope puller for battle rope training and vertical rope pulls, core plate trainer for Olympic bars, chin up bar and a punch bag attachment to accommodate an amazing 4ft leather Ricky Hatton angle/uppercut punch bag. Extra special thanks go to Training Wall master trainer Aaron Brandon-Tyrrell, of Revolution Personal Training, for providing an outstanding training course at the British headquarters in Windsor. Aaron gave a superb introduction to core fitness and the benefits of exercising on the Training Wall. He showed Chris and Charlie the fundamental points of postural control, and how to get the most out of the versatile array of tools and attachments that can be used for a full body workout.